I’ve been a huge planning nerd basically my entire life. Seriously, I was that kid in school that got all excited about buying my new planner every year. If I’m being honest, not a whole lot has changed. I still love planning, organizing, and finding new ways to increase productivity. Because of that, I love trying out new planners and planner systems! 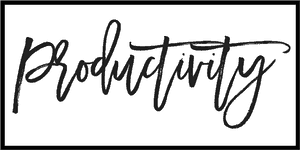 There are definitely some that have worked better for me than others, but I always figure that if I’m going to be sharing tips on productivity, I had better try all the alternatives so I know what really works. 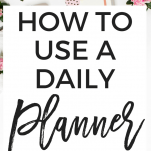 Whether or not you’re already using a daily planner, make sure you keep reading to learn my tips on using a daily planner to increase productivity! Do you ever have those mornings where you’re feeling super ambitious and you sit down and write a to-do list for yourself that has like 20 items on it? I’ve definitely been there, and I can just about guarantee that I’ve never made it through all 20 of those items. As ambitious as you’re feeling, limit your to-do list to only your most important three tasks. If you get those done, you can always add more to the list later! In addition to narrowing it down to your top three, pick your ONE most important task. I always make sure that is the first thing I get done every day so even if I don’t get anything else done the rest of the day, I still feel like I accomplished something. I find that my to-do list is a LOT less effective if I start planning when I actually sit down to work each day. When I plan the day of, it’s harder for me to think of what needs to get done. I tend to think of things randomly throughout the week, so it’s easier for me to just get them scheduled as I think of them. It also makes planning bigger picture projects easier because I can assign tasks for that project for every day of the week. I just generally find that I’m more productive when I plan my entire week ahead of time. You can always tweak as needed! A lot of people make the mistake of putting things on their to-do list that are too broad or too big-picture. I used to do this ALL the time. For example, I would write “work on blog” on my to-do list. This is not actionable and is probably going to result in a lot of wasted time! First of all, putting a super actionable item on the list incentivizes you to get it done in a more timely manner so you can get it crossed off. 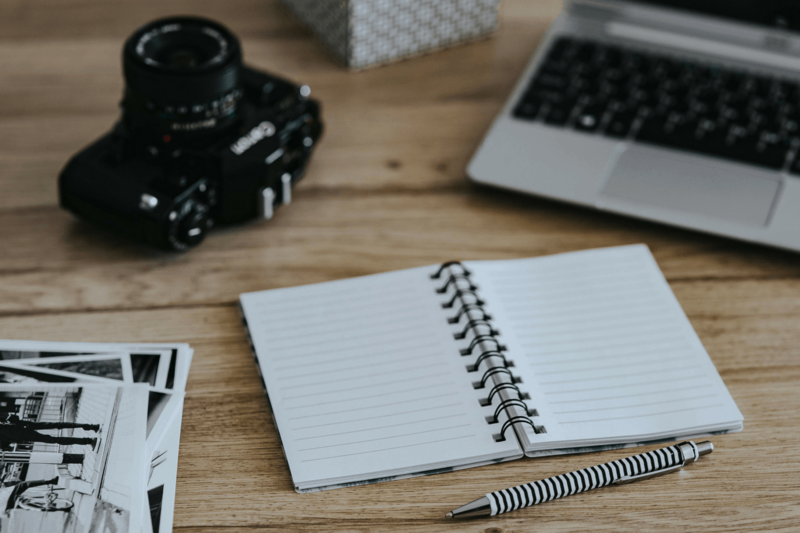 Second of all, putting a super actionable item will save you a LOT of time so you don’t spend the first half hour of work trying to figure WHAT specifically you’re going to do to work on your blog. From my experience, really broad to-dos like this just tend to result in creating a lot of busy work for yourself and really not being productive at all. A lot of people think that scheduling and accomplishing as many tasks as possible in a day will make them a more productive person. I hate to break it to you, but this is NOT the case. First of all, if you work an 8-hour workday and schedule yourself 8 full hours worth of tasks, you will NOT get them all done. You have to leave time for whitespace (transition time, break time, unexpected interruptions, etc). Additionally, expecting yourself to be productive all day long will pretty quickly lead to burnout and unhappiness. You DO need to take breaks and make time for yourself. Self-care is not a waste of time, and I assure you it will lead to being more productive in the long run because you’ll be more mentally prepared to tackle your to-do list. I find that if I don’t have anything planned for a certain block of time, it’s really easy to fill it with work. Because of this, I like to designate ahead of time which evenings will be set aside for work, and the rest are scheduled as personal time. 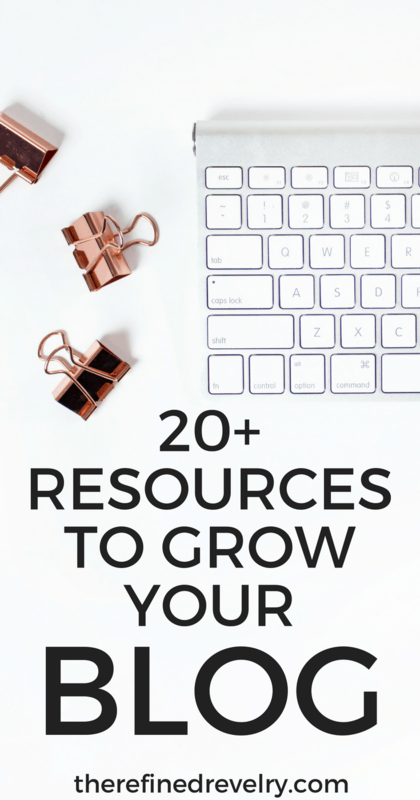 There are literally endless amounts of productivity and planning tips available. There are plenty of productivity experts who will tell you exactly the planning system to make you most productive (although there are a LOT of experts recommending a lot of different systems). But at the end of the day, a system is really only the best if it works for YOU! First, did I actually use the system? 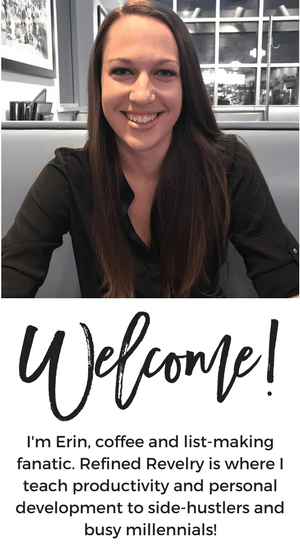 I’ve definitely tried out a new planner system where I found myself just not utilizing it, and that made it clear to me that it was NOT the system for me. Next, did it help to keep me more productive? Now, don’t expect your planner to be what makes or breaks your productivity. That’s on YOU. But there are definitely some planners that will be a better helping hand than others when it comes to staying productive. What Kind of Planner Should You Use? Productivity Planner: Paper planners have always been my jam, so it’s safe to say I have tried a LOT of them! I have tried every planner under the sun from the cheapest daily planner at Target to a $60 planner that has pages for planning literally EVERYTHING. 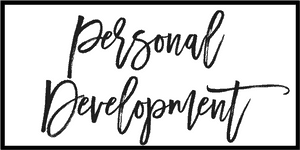 and I’ve found that if you’re a relatively productive person to begin with, the specific planner you use really doesn’t matter all that much. If you are on the hunt for a specific planner that might boost your productivity, I recommend the Productivity Planner. It’s small and easy to carry around. It helps you to really focus in on your main goals by limiting the number of tasks you can schedule in a day and by guiding you through the Pomodoro Technique to get them done (this is where you set a timer and work in 25-minute bursts with 5-minute breaks in between). In addition to the daily planning pages, the Productivity Planner also has weekly planning pages and weekly reflection pages. Bullet Journal: If you spend much time reading up on planning and productivity, you’ve probably stumbled across the idea of a bullet journal. 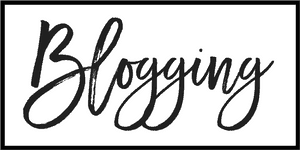 The Bullet Journal website explains the basic premise. You use a blank notebook rather than a pre-formatted planner, so there’s a lot of customization and people really manage to do a lot with them. If you start researching bullet journals you may be overwhelmed because people tend to get pretty elaborate and decorate their bullet journal pages with art, which you totally don’t have to do. I’m not artistic and really just wanted a productivity tool, so my bullet journal, while I used one, was SUPER minimalistic. If you’re interested in giving a bullet journal a shot, I recommend using a Leuchtturm 1917 Notebook (this is what I used). Digital Planner: There’s something about planning with paper and pen that is just fun for me (yes, I realize fun is a strange choice of words. But it really is fun for me!) Because of this, I spent YEARS being super against the idea of using a digital planner. However, carrying around a paper planner can be really freaking inconvenient. And I’m not always able to have it with me. A couple of months ago I finally caved and started using a digital planner. It syncs with my Google Calendar, which is SUPER convenient. The app I’m using is called Todoist. There’s a totally free version but if you use that link << then you get a few months of premium free! 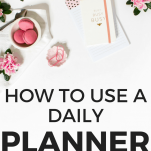 You might not be quite the planning nerd that I am, but I guarantee that using a daily planner CAN help you increase productivity! 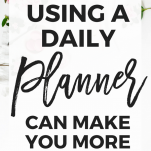 Leave me a comment and let me know if YOU use a daily planner and what kind you use!